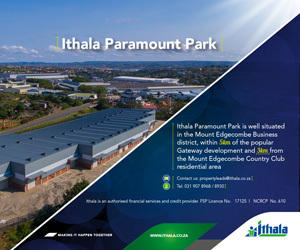 South Africa’s largest self storage property fund, JSE REIT Stor-Age, has continued on its acquisition trail and has entered into a R95-million transaction for the development and subsequent acquisition of a new property in Craighall, Johannesburg. New Vantage Properties, a brokerage specialising in leasing and investment sales, has brokered the sale of the sought-after Hutton Court building in Hyde Part to Nu Metro. Should you rent or buy a residential property? At one or another stage of life we are all bound to find ourselves faced with the dilemma of whether to rent or buy a home. Driven by a dynamic tenant mix of exclusive global and local brands Hyprop's Hyde Park Corner is the definitive destination centre for style-conscious, boutique shoppers wishing to access the very best in luxury; be it conventional goods, or merchandise which follows more eclectic fashion and lifestyle trends. High Street Auction Co announces at its multi-property auction that it will sell Kyalami Race Track on July 24, in what it said will be the biggest no-reserve auction in SA history.